Weekly Rates: €99 per child. €95 for 2nd €90 for 3rd & subsequent children. 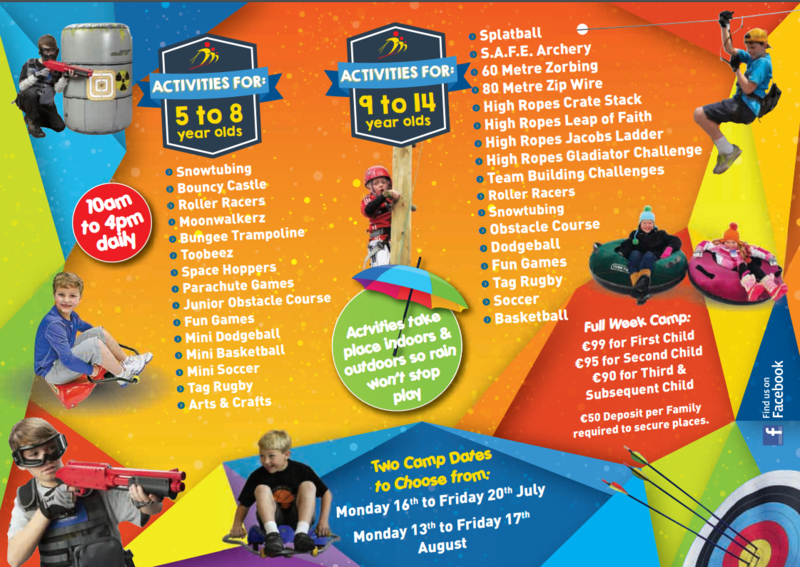 Click Summer Adventure Camp 2018.pdf For Further Details.